Super Savings Item! 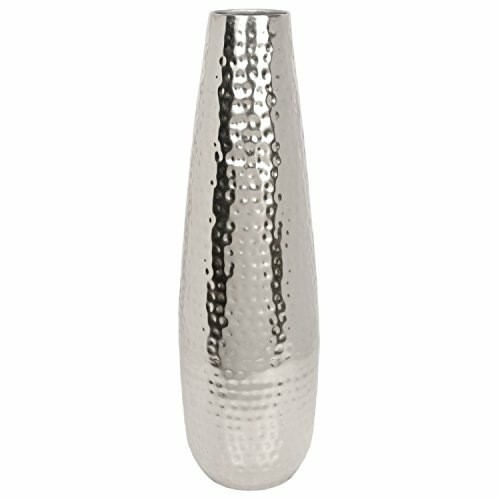 Save 38% on the Hosley Teardrop Hammered Metal Vase, Silver Finish - 16.5'' High. Ideal for Dried Flower Arrangements, Decor, Gift for Spa, Wedding, Home or Votive Candle Candle Gardens O3 by Hosley at Home Decor Outlet Store. MPN: FBA_HTM4876017S. Hurry! Limited time offer. Offer valid only while supplies last. Hosley's 16.5'' High Silver Color Teardrop Metal Vase. This vase is hand crafted by artisans using century old techniques. Measures 5'' x 5'' x 16.5''. PRODUCT: Hosley's Teardrop Hammered Metal Vase, Silver Finish - 16.5" High.